Shadowman’s first night on the job may just be his last. Jack Boniface has become the next Shadowman, which would be great if he had any idea what he was doing. But he doesn’t and he’s out of time. Master Darque has dispatched the terrifying Mr. Twist to destroy Jack and the demonic creature is tearing through half of the Big Easy in search of his prey. If the Abettors – the mysterious organization that’s spent hundreds of years protecting New Orleans – can reach Jack first, he’s got an outside shot at making it through the night. 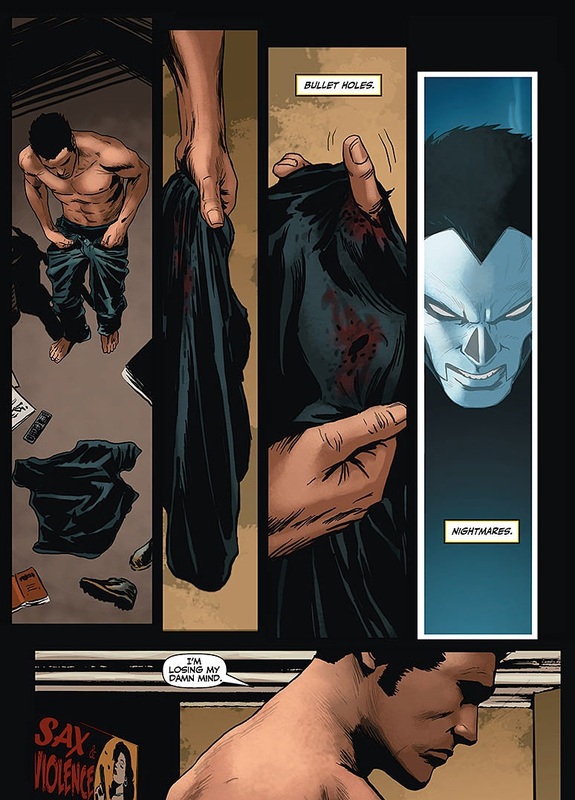 Find out if he’ll live to see tomorrow when the return of the legendary Shadowman continues this December! Jack Boniface now possessed by the Shadow Loa (Spirit) faces off with the demon possessed police of last issue now joined by Dox and Alyssa. They defeat the officers and capture one of the creatures while another escapes back to Mr Twist. The next morning Alyssa seeks out Jack for his own protection and takes him back to Dox. Here they examine the captured creature and Mr. Twist teleports right in. Art-Patrick Zircher’s art shines at least for the majority of the issue. Jack Boniface– It was cool getting a brief glimpse into the mind and past of our hero. 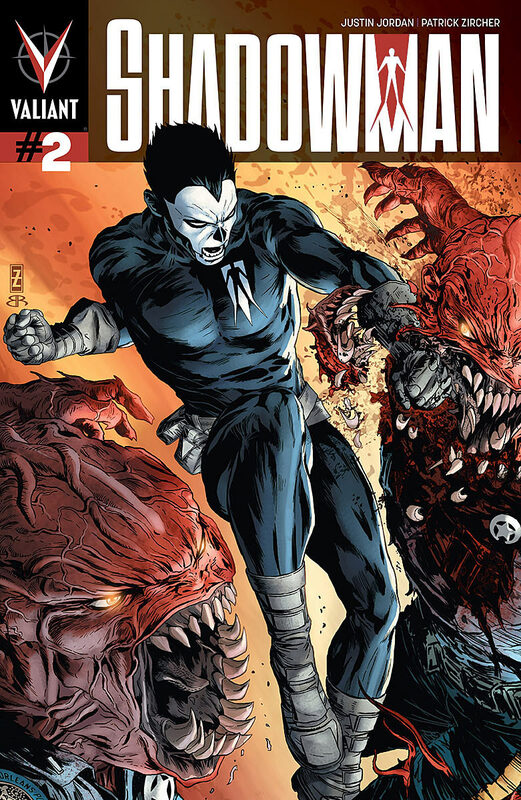 Cover-A mighty fine illustration of Shadowman literally tearing through the demon possessed police of last issue (and this one). The colors are a bit subdued but match the tone of the book itself. The other cover is mostly black with a noir like vibe and a hint of green. I actually prefer this version to the standard. Black Heroes– Since January 2013 is about Black Superwomen I can easily say Alyssa is a fine addition to the ranks. Hopefully she won’t die soon…or ever! And it’s pretty cool Jack Boniface is not only back but staring in his own ongoing series again. How cool is that? Tres Cool! Action– Fights, blood, bullets yup this one had a nice bit of action to compliment the story elements. Villain- Master Darque seems like a really nasty piece of work. Last issue we saw him (in the past) use Jack’s father Josiah to cross over to the Darkside. Now we realize he has survived the “should have been fatal” injury to the chest. In this new world he has learned ancient and terrible magic from the demonic natives and now plans to return to the real world with said power to reign down death and destruction on creation itself. To this end he has created Mr. Twist and set him to the task from the outside of Darkside. Digital exclusives- The all ink digital exclusive content was heaven sent since I’m such a huge fan of the no colors vibe! These babies are simply gorgeous and even better than the colored pages! Art- There is a certain unevenness to the panels and pages in this issue. Not everything has the same level of detail or polish giving the book, at least a few sections a rushed feel.